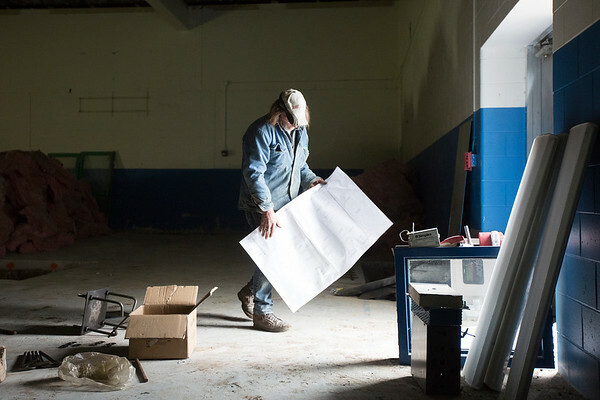 Eric Freudigman moves the building plan to the light so he can see while working at the new Safe Harbor Wellington Street building on Monday. Safe Harbor closed its winter season with shorter than average stays at the churches. The Wellington Street building will open in the fall and take the place of the church-to-church system, which has been in place for 13 years.